This monograph has been prepared under the Multi-Annual Programme 2015-2019 “The Polish and the EU agricultures 2020+. Challenges, chances, threats, proposals”. 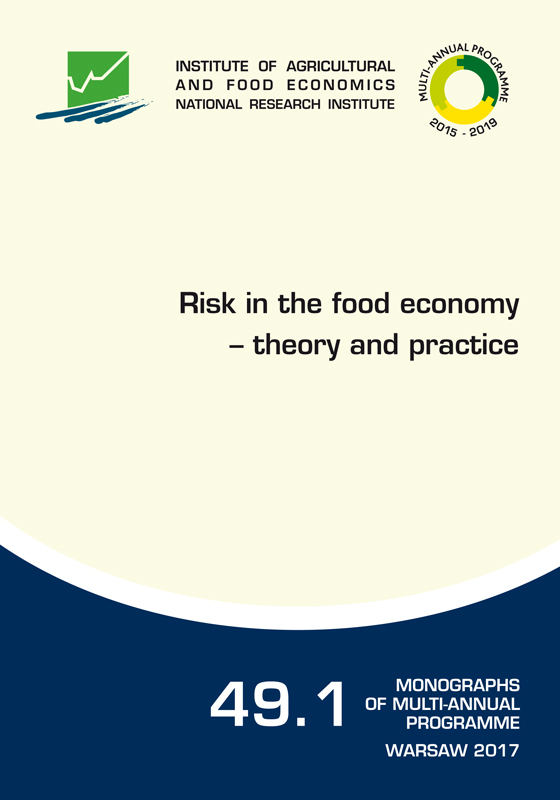 The work aimed at analysis of different types of risk and its valuation in the food economy. Additionally, the authors presented the possibilities within the field of risk management. An active part of the state and the European Union in the field was shown in the background.